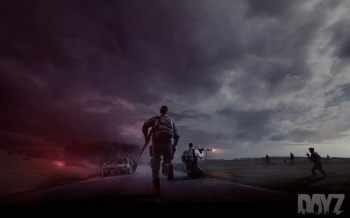 DayZ creator Dean Hall says that game's fast success is "crazy" and has vastly exceeded all projections. Last month DayZ joined Steam Early Access and found itself immediately mobbed by eager fans looking to take a zombie-sized bite out of the game's much anticipated stand alone version. More than 88,000 players bought their way into the alpha version in its first 12 hours of release, something that shocked its creator, Dean Hall. That being the case, it would seem that the sales wonders didn't stop there. In a recent Reddit thread, Hall revealed that the early access edition has already sold nearly 800,000 copies in less than a month. To suggest that this was unexpected would be putting it lightly. "250k within a quarter was what I would have considered a success," said Hall. "So to move nearly 800,000 in under a month is crazy." The insanity of it all aside, these impressive sales will apparently help further the game's development. "We'll be finalizing our roadmap in mid January, but it is safe to say that this kind of result will be having a very positive effect on that roadmap." That will likely be welcome news to DayZ fans who, prior to the early access version, went through several disappointing delays that held the game back from release. Here's hoping that its success and the "ambitious plans" that Hall and Bohemia have for it going into 2014 will mean a more stable and speedy development process going forward.